Graduates of the Bachelor of Clinical Exercise Physiology are allied health professionals equipped with the knowledge, skills and competencies to design, deliver and evaluate safe and effective exercise interventions for people with acute, sub-acute or chronic medical conditions, injuries or disabilities. On completion of your degree you'll be an Accredited Exercise Physiologists (AEP). Services covered by AEPs include cardiovascular, metabolic, neurological, musculoskeletal, cancers, kidney, respiratory/pulmonary and mental health, and any other conditions for which there is evidence that exercise can improve the client’s clinical status. Why study Clinical Exercise Physiology at UNE? SportUNE at UNE is considered one of the best university sporting precincts in Australia, offering variety, flexibility and a range of new facilities and services with everything from a state-of-the-art fitness and strength building gym to indoor and outdoor courts to a climbing and bouldering wall and to 15 hectares of playing fields. 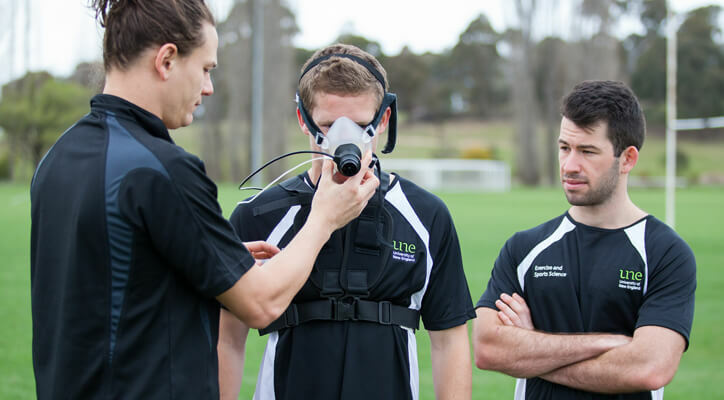 UNE has been selected as the academic partner institution for the NSW Rugby League Centre of Excellence to be established at Sydney Olympic Park providing opportunities for our exercise physiologist students in terms of interactions between health and sport. As a graduate of the BClinExerPhys at UNE, you will have all the attributes required for a career in as an AEP, for example, communicate specialist advice on safe and effective participation in physical activity, an in-depth understanding of the clinical applications of exercise and sports science, use knowledge of injury and disease etiology, pathophysiology/pathomechanics and common medical interventions to manage/ rehabilitate individuals with chronic and/or complex medical conditions. You are able to transfer to the Bachelor of Clinical Exercise Physiology, from the Bachelor of Exercise and Sports Science, after completion of 20 units, including 12 specified units at a Credit average overall. UNE is a member of the Elite Athlete Friendly University (EAFU) Network and offers student-athletes flexibly study options enabling a balance between sporting pursuits and academic requirements. You can study either on campus or online – whichever option you choose you will be part of a vibrant living and learning environment. What background knowledge do I need? What should I study at school? 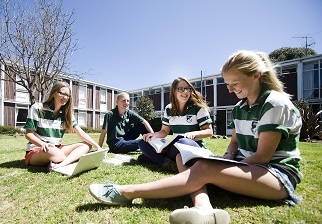 We assume you will have a sound knowledge of NSW HSC-level (or equivalent) Mathematics plus Personal Development Health and Physical Education and it is useful to have knowledge of Biology and/or Chemistry. We offer introductory units in Chemistry and Mathematics for students who do not have the recommended background knowledge as well as free Bridging Courses in Chemistry and Mathematics. We also offer the Bachelor of Scientific Studies which was designed for students who do not have the assumed knowledge in Mathematics and Biology and/or Chemistry. We do recommend that if you don’t have the assumed knowledge, you give serious consideration to including the Bachelor of Scientific Studies as a preference when you submit your application. Alternatively, you might like to consider enrolling for the Bachelor of Scientific Studies in the first instance and, on successful completion of eight units you will be eligible for award of the Diploma in Science and, you can transfer to the Bachelor of Clinical Exercise Physiology with credit (advanced standing) for at least four of the units you have completed. Do I have to do any practical work? If I do, how do I find appropriate work? Yes, you must complete a total of 500 hours of practicum experience – this includes 140 hours for the purpose of undertaking an exercise intervention to improve health and fitness, wellbeing or performance, or focus on prevention of chronic conditions plus 360 hours of practical experience with clients with clinical conditions (eg, cardiovascular, pulmonary, metabolic, musculoskeletal, neurological). We have a clinical placement officer who will help you to identify suitable practicum sites and supervisors and will ensure your practicum placement complies with the Exercise and Sports Science Australia (ESSA) accreditation requirements. Graduates with an above average academic record are able to complete the Bachelor of Clinical Exercise Physiology with Honours or the research-based Master of Science. BClinExerPhys(Hons) graduates who have the appropriate level of Honours are eligible to apply to enrol for the Doctor of Philosophy. Interested in doing an Honours year?